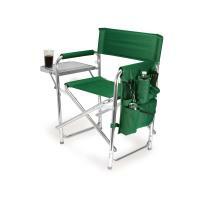 The lightweight and durable folding aluminum Sports chair is perfect for outdoor leisure. In addition to being lightweight, a removable shoulder strap makes this chair very easy to carry. The extra-wide seat (made from durable 600D polyester) and padded armrests were designed for optimum comfort. The large side flap has a Velcro pocket for a cellular phone, a Velcro pocket for sunglasses, a large zipper pocket to hold valuables, and an insulated wine/water bottle holder (protected by Therm o-Guard). A convenient side table folds out to hold food, drinks, etc. The sports chair makes an excellent gift! 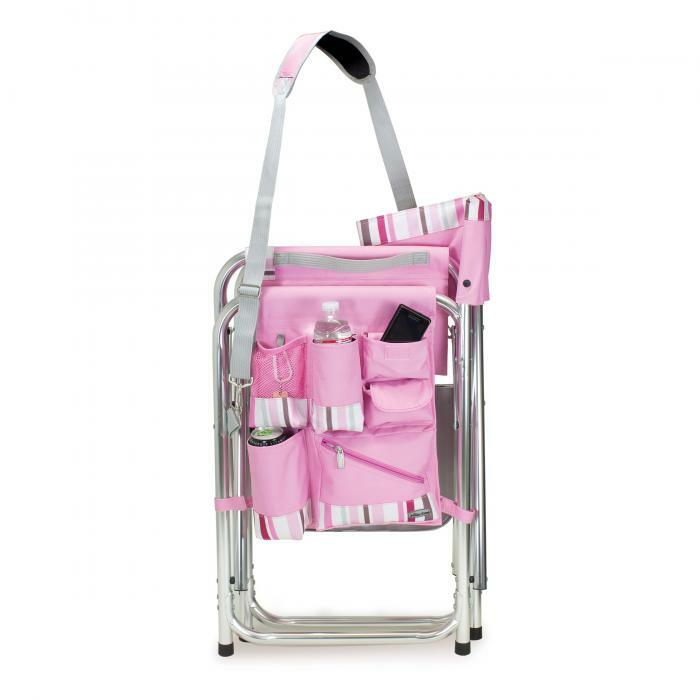 •An armrest caddy hangs from the side of the chair and includes a variety of storage pockets to hold such items as magazines or books, portable beverage containers, a wallet, a camera, keys, a mobile phone, etc. DIMENSIONS: 33" x 5" x 21"
This item can be customized with your logo. Please email us for more info. Really like the chair! Well made. Looks good! Thanks, for a nice chair. Great chair, love all the extra pockets! I love it, many complements, many people want to order one after seeing mine. The talk of the party. Cute, compact, so fun. These chairs are the most versatile chairs ever made! They have pockets for water, cell phones and money. The strap is handy.The table is very useful.Whenever I use my chair/table people come over to me and ask where I got it. I say Picnic World! This is the best invention ever made. I bought these chairs for club awards and had them custom printed. I have not awarded them yet but I know they will be well received. They are very nice chairs, they have alot of extras on them and the material is sturdy. Your company worked with me to get a fair price and shipped them out quickly. Other than the price to have these chairs shipped to Canada these are fabulous chairs both for strength & stability, as well as for all the accessory holders. The only thing missing is some kind of collapsible cup holder on the side table. We are very pleased with the chair. It is very durable, easy to open, close and carry and is very comfortable. We would suggest this chair for anyone who spends alot of time outside and needs comfort!! This chair has everything one could hope for. The best feature is that the chair is large enough to be comfortable for a "wide load" lady. My daughter bought two of these chairs in January 2005 for me and my husband. My husband retired in 2006 and he has used his daily since then, so it had to be replaced this year. I ordered it expedited because the Fourth of July was coming and I wanted both of us to have our favorite chairs to sit in to see the fireworks. I received it on July 3rd and my husband was EXTREMELY happy that we got to sit together in comfort and watch fireworks! Thank you! This is the best folding chair I have ever seen. I gave two as gifts to my soccer-parent children who use then several times per week. My son is 6'2", 200 lbs, his wife 5'0", 115 lbs, and they both are comfortable in the chairs.Everyone asks about the chairs. They seem to lose interest when they hear the price. I expect the chairs to outlast 4 $15.00 chairs. This is one of 3 that we now own. All the neighbors ask where we got them and it is a pity that I could not find a Canadian source. The chair is sturdy, bright and I just love the table. There are a number of well used pockets, one of which is insulated and keeps my drink nice and cool. We found with the common fold and carry chairs that we had a struggle to sit and stand. We don't have any issues with these sturdy chairs, even with our bad backs! The carrying strap is convenient and comfortable. We look forward to many years of use. Very strong chair and exactly what I wanted. A bit pricey, but the most comfortable camping chair I've ever owned. The back is nice and upright; no backaches from sitting too long. Two are an easy carry, especially with the strap. I love the side table. 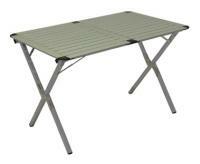 It enabled me to eliminate two small folding plastic tables from my camping gear. I'd recommend it to everyone...willing to pay the price. This is an excellent product! 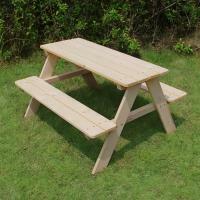 It is durable and sturdy. It is great for craft shows with the side pockets for credit card slips, pen/pencils, plastic bags, etc. I'm very happy with my purchase. 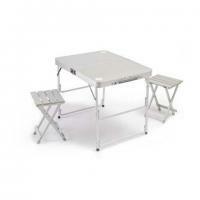 The chairs are very light and easy to carry, very comfortable and well made. I've given the information to many of my friends who also liked them and wish to purchase them. The chairs look great! They are the best we have used for dealer loaders and summer incentives. They are very sturdy and liked by everyone. 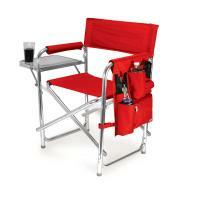 This is the best folding aluminum chair we have ever owned. It is quality built, fits our body and has good support. Plus with a 300lb rating, we don't have to worry about our portly friends sitting in it. All the other ones we owned just didn't hold up. I bought this chair for my husband because he likes to have everything right next to him so he doesn't have to get up! He loves this chair. Takes it with him to watch our kids at sports, and when we go camping. It folds up easily for travel and storage. We will probably purchase another one at some point. This is our second Picnic Time chair, purchased so we wouldn't have to fight over who gets to use the first one we bought. It got there in time and the box was damaged and the chairs were not. We belong to a kite club and spend a great deal of time at the beach flying. These chairs are wonderful. They are comfortable, and with the pockets and table, all is within reach. I love them! This item is very sturdy. It's a very nice gift. This is a great chair! I have bought several as gifts. 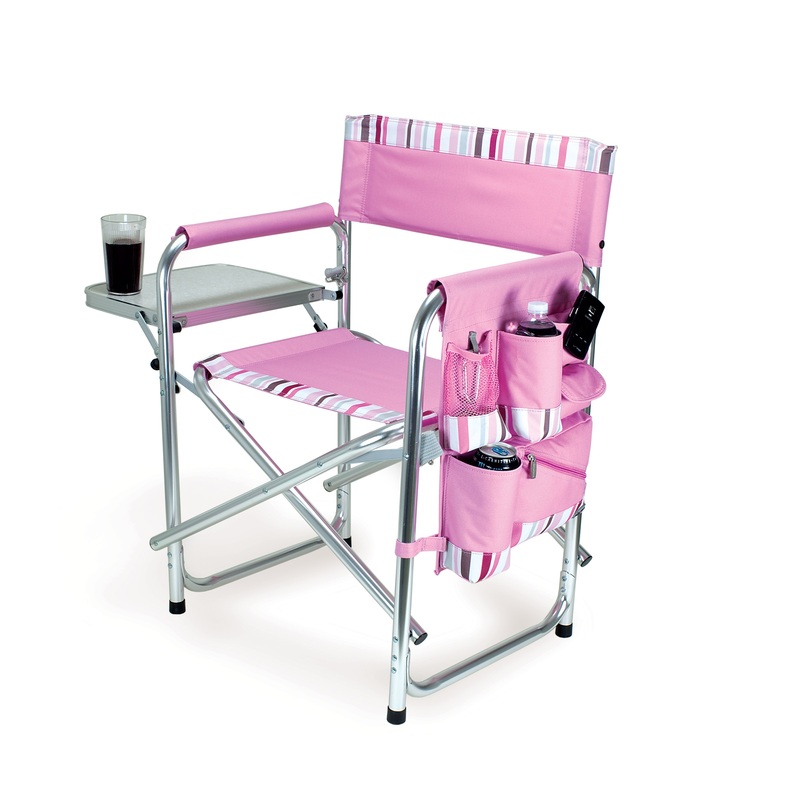 We love our folding sports/camping chair. Wherever we go with it people ask us where we got it. It is very comfortable and a great chair. I love my new chair! It is very comfortable and I love all of the features it has! Great! I love them. Another fine quality product! My husband likes it. He uses it at work to eat lunch during breaks. These chairs are very sturdy. The quality is great! We bought these two chairs and a cooler on wheels for a wedding gift. The couple LOVED them! Thank you!!! We love the chairs! We use them when going to car cruise-in's to watch the people look at our antique cars and answer their questions. They hold everything you need while you are sitting and are soooo easy to get out of instead of those that are so low. We also used them this week to watch our grandson play baseball in a tournament at the Wide World of Sports in Orlando, FL. We are so glad that we have them. People ask us where we got them and I am happy to tell them! It is just what I wanted, delivered quickly and in good shape! Your service and product were excellent. I recommended you and the chairs to our campground owners and they too have ordered and received their chairs. The chairs are very comfortable and light enough to carry. The fold out table is very convenient. My only problem with my order is that I had received a monogrammed chair as an award and I ordered 4 more to match. However, the ones I received did not have the zipper in the back cushion for monogramming, so I had to rip the stitching out and resew it in order to be able to monogram my new chairs. This chair is the envy of all my family! They all jump in it as soon as I get up. The chair is sturdy and comfortable and allows me to tote my junk in the pockets. I love it. My husband and I love our Picnic Time Folding chairs. We took them on vacation and used them for roadside picnics. We love them, as we attend all of our grandson's sporting events. We plan to use them for football tail gaiting as well. 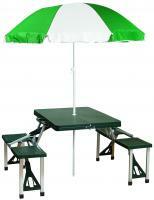 We like the fact that they sit up higher than most folding chairs and are very roomy and sturdy too. By far the best folding chairs we have ever owned. These are comfortable chairs, wide enough so your thighs aren't getting squished like some of the folding type and they have all the convenient pockets and the table to eat on. They are great! Love it. Sturdy and easy to set up. Perfect and easy to sit in and get up. I love these chairs. I have bought several of them for gifts. They are great for taking to any sports activity at a park. It is very good! Could use a cup holder. We are enjoying these chairs, especially like the pockets for various items and do especially like the fact that it has a little tray to use. However, my wife has a little difficulty opening the chair! It is still very stiff. Maybe with use, it will loosen up. The item was what I expected! Friends have this chair and I liked it so much that I ordered it for my husband for Christmas,(in Oct). The quality was fine. Rated for up to 250 pounds.